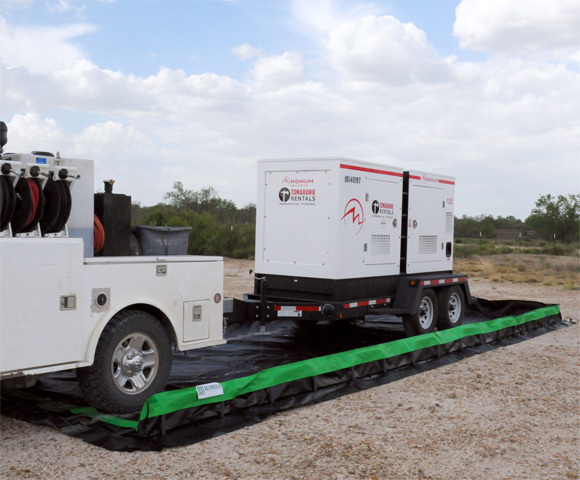 FAQ: Do you supply frac tanks and secondary containment? Question: I am interested in knowing if you supply frac tank containment in the Pennsylvania area. I am looking for something that would fit the dimensions of a standard frac tank. How do they ship to the customer? Do you have to put them on a truck for transport? Can we store them for later use? What is the life expectancy on the berm? Secondary Containment Berms are an ideal way to provide secondary containment under frac tanks used during the hydraulic fracturing process. 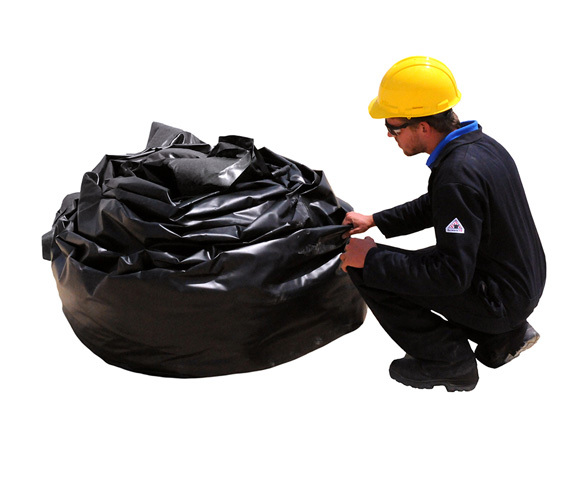 Made from robust fabrics, these berms create a reliable area that can successfully hold and contain liquids in the event of a spill. Aluminum angle berms feature a standard wall height of one foot (1') and will remain upright for the duration of your storage. By contrast, foam wall berms use a lower wall height (typically 4") and will allow for frac tanks to drive directly over the wall. Shipping for the berms will vary depending on whether you are receiving an aluminum angle or foam wall model. Aluminum Angle Berms will have two separate parts: the liner and the aluminum angles. Since the angles are placed into the berm after arrival to your site, the berm will arrive to your location unassembled. By contrast, Foam Wall Berms will typically ship fully assembled with the foam built into the walls. This typically creates a larger shipping item, but a faster assembly once the product is on site. Standard life is tough in the oil field. It really depends on how they are cared for during their use. Portable Tanks, a division of GEI Works offers mil spec fabric which has a rated use life of 7 years, handles hydrocarbons and cold to -50. Our lead time does vary depending on the size. In the price quote we can provide options for economy, commercial and heavy duty, that way your client has a selection based on need. We may also offer different options depending your specific storage needs and requirements. Our Portable Tanks sales team will email you a price and freight quote shortly. View our Secondary Spill Containment Products page for information on all containment options.